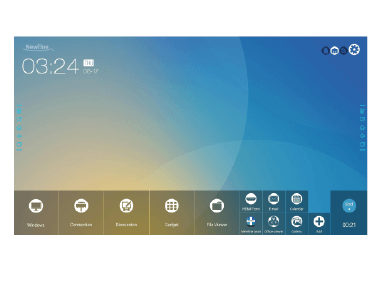 Connect to your interactive display with multiple devices and share your screen with anyone in the network with a seamless presentation system built into the TRUTOUCH RS series. 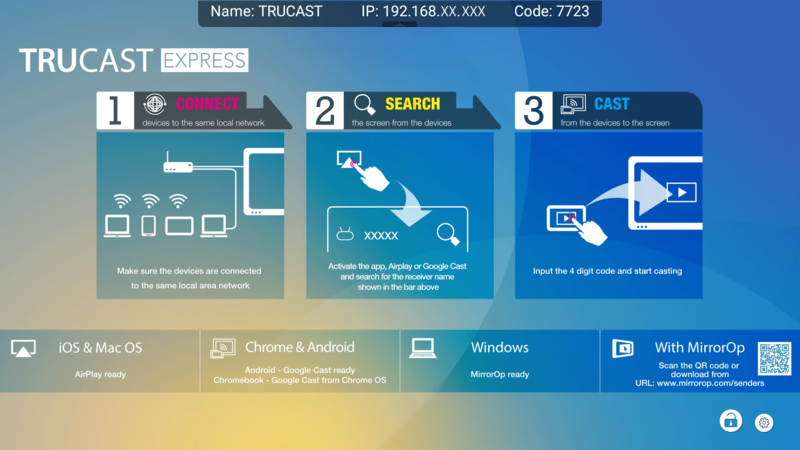 By eliminating the need for cables, peripherals, and additional software, the TRUCAST Express app makes any room a completely unlimited and seamless collaborative space. TRUCAST Express allows everyone in your company to join the collaborative space with ease. Meetings will be more convenient than ever with TRUCAST Express. Choose which operating system you use to work, whether you prefer Mac or PC, Android or iOS. 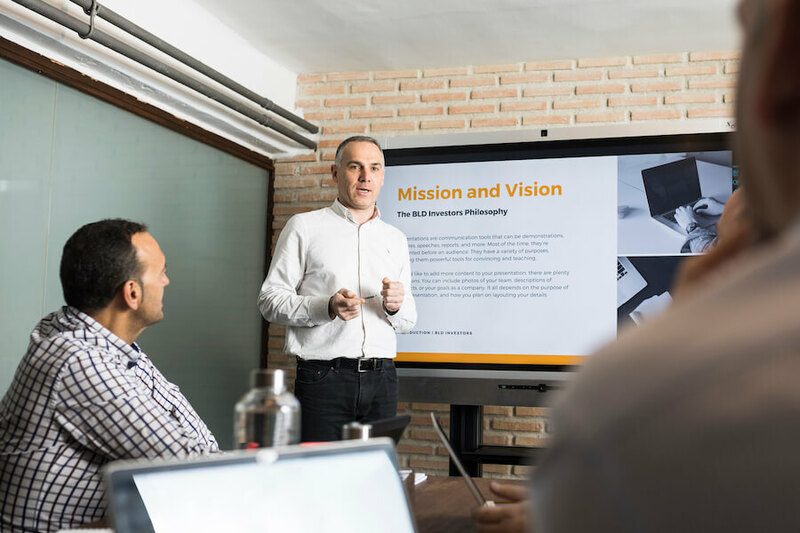 Connect your interactive display with laptops, tablets, and smartphones alike for an all-inclusive collaboration experience. 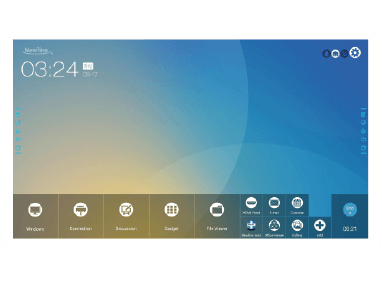 Once connected with TRUCAST Express, you can effortlessly project your screen onto the interactive display. Simply cast your own device or allow others in the network to share theirs. 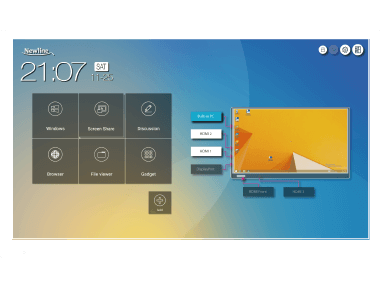 Allow free projection or control who casts devices to the display. Cast up to 4 devices at once in split-screen to easily share ideas and encourage teamwork. Save, share and send files all with the touch of a single button. Use AirPlay, Google Cast, or MirrorOp for quick and easy screen sharing. Use your own LAN or WiFi network to connect all devices to the interactive display. Allow your teams to collaborate with their preferred OS and device of choice.